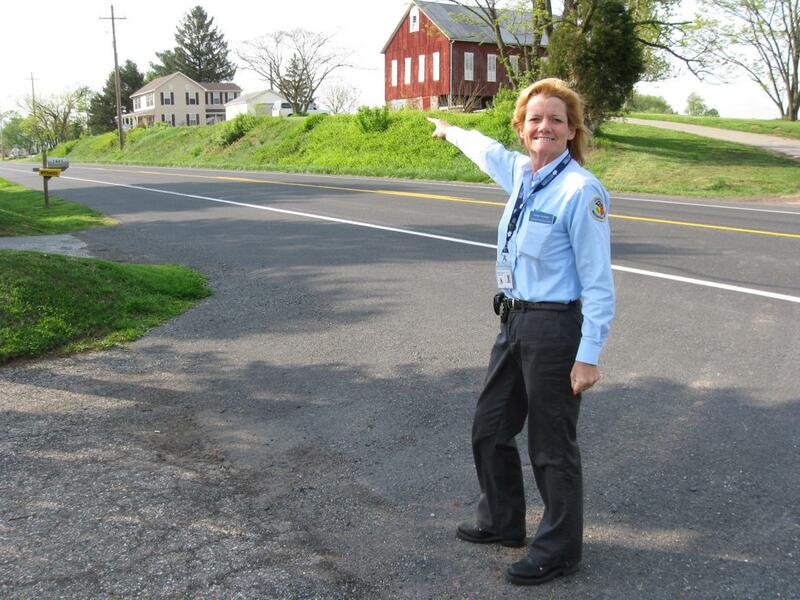 Gettysburg Licensed Battlefield Guide Andie Custer is standing on the southwest side of the Baltimore Pike near its junction of the Low Dutch Road (out of sight to the right). She is pointing at buildings occupying the site of the Henry Beitler Farm. This view was taken facing northwest at approximately 5:30 PM on Wednesday, April 21, 2010. In today’s post, Andie Custer shows the location where Major General Alfred Pleasonton gave orders to two of his division commanders, Judson Kilpatrick and David McMurtrie Gregg on July 3, 1863. She also shows us the location of White Run Church. This map shows us the locations taken of the videos for this South Cavalry Field series. Videos #1 and #2 were taken on the north slope of Little Round Top near the monument to the 146th New York Infantry Regiment. 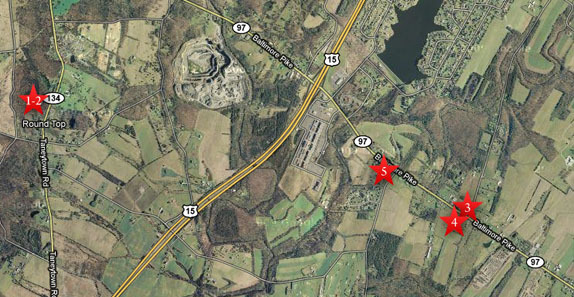 Video #3 was taken on the northeast side of the junction of the Low Dutch Road and the Baltimore Pike. Video #4 was taken on the soutwest side of the junction of the Low Dutch Road and the Baltimore Pike. Video #5 was taken near the junction of the Baltimore Pike and White Church Road. This map was created facing north at approximately 1:00 PM on Saturday, May 1, 2010. In Video #4 (Videos #1- #3 were shown in our previous South Cavalry Field post) Gettysburg Licensed Battlefield Guide Andie Custer shows us the location of the Henry Beitler Farm and where Major General Alfred Pleasonton gave orders to two of his division commanders, Judson Kilpatrick and David McMurtrie Gregg on the morning of July 3, 1863. This view was taken facing northwest to north to northeast at approximately 5:30 PM on Wednesday, April 21, 2010. 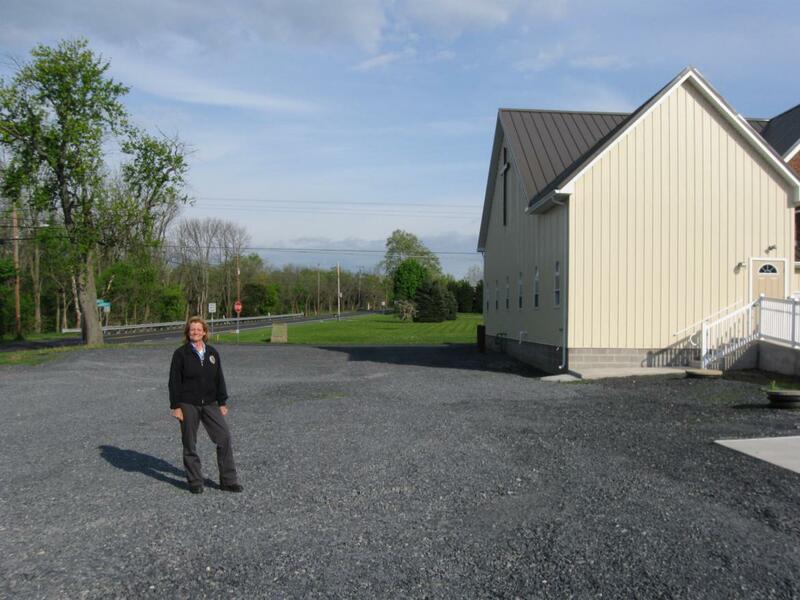 Licensed Battlefield Guide Andie Custer is standing near the location of White Church. There is currently a church structure located here, and seen on the right, but this is not the structure that stood here in 1863. The Baltimore Pike is on the left. White Church Road is behind Andie, running from left to right, or north to south. Sergeant Horace K. Ide of the 1st Vermont Cavalry later wrote that when the regiments of Farnsworth’s Brigade reached this area, “We fed out horses, made coffee, and some of us took naps. We found here the headquarters wagons of the 2nd Vermont Brigade, and I saw several men that I knew.” This view was taken facing southeast at approximately 5:30 PM on Wednesday, April 21, 2010. In Video #5 Licensed Battlefield Guide Andie Custer explains how Kilpatrick’s division was to go to the Union left, but that Custer’s Brigade will become separated from Farnsworth’s Brigade. This view was taken facing northeast to east to southeast at approximately 5:30 PM on Wednesday, April 21, 2010. 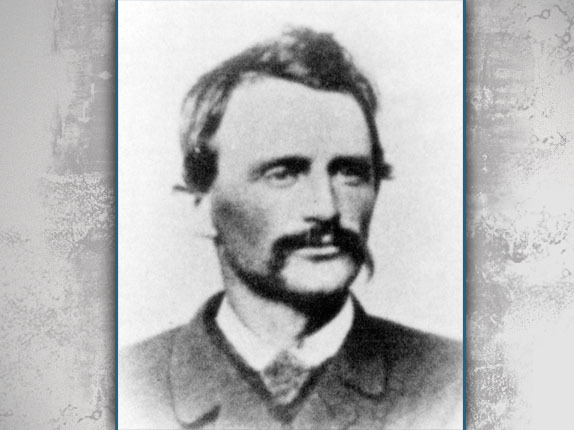 Brigadier General Elon John Farnsworth (1837-1863) was a native of Michigan who moved to Illinois at the age of 17. 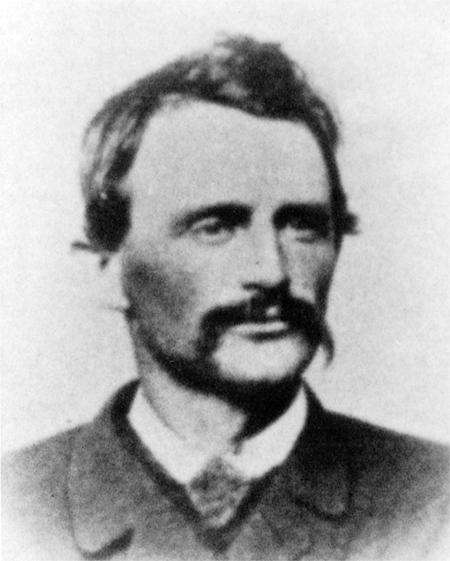 At the beginning of the war he served in his uncle’s regiment, the 8th Illinois Cavalry, and was promoted from the rank of First Lieutenant to the rank of Captain. As a Captain he served on the staff on Alfred Pleasonton, and was promoted to the rank of Brigadier General on June 29, 1863, two days before the Battle of Gettysburg. This view, courtesy of Andie Custer, was taken circa the 1860s. 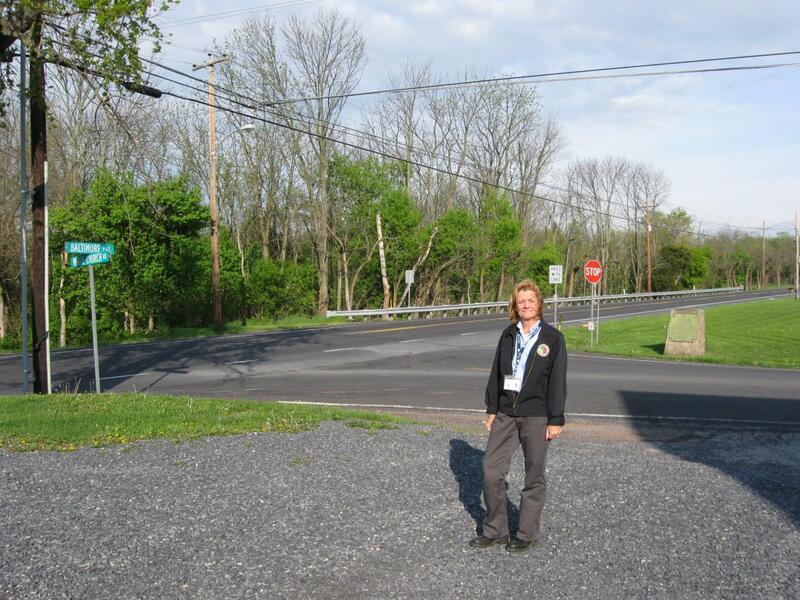 Andie Custer is standing at the junction of the Baltimore Pike, shown on the left, and White Church Road, running from left to right. Lieutenant Thomas Grier of the 18th Pennsylvania Cavalry wrote that when they reached this area on July 3rd,”We reached the junction of the Baltimore Pike and White Run early in the morning, unsaddled and fed our horses, and got something to eat. While here, the infantry were heavily engaged at Culp’s Hill. Many wounded men were passing by to hospitals in the rear. Among the wounded was Gen. Daniel Sickles (who had been wounded on the 2d), borne on a stretcher.” This view was taken facing east at approximately 5:30 PM on Wednesday, April 21, 1863.